Addressing stubbornness is a challenge most dementia caregivers can relate to. While being told “no” by your senior loved one can be frustrating, it helps to keep the right perspective. It may take several tries, but incorporating these tips into your dementia care strategies may ease resistance from your loved one. Stubborn behavior typically comes from some type of unaddressed fear or need. Your loved one may be aware of the possibility of losing independence, and this causes him or her to refuse to accept help from a caregiver. Alternatively, your loved one may be thinking something different altogether. For instance, the dementia symptoms might cause your loved one to feel angry about an event from the past and express this by refusing to go along with your plans. Putting yourself in your loved one’s shoes can help you see why he or she is acting so stubborn. 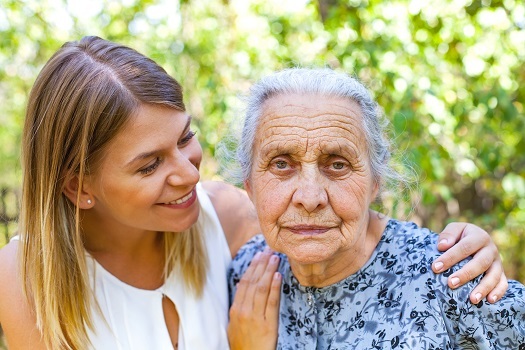 Professional caregivers with training and expertise in dementia care can often identify the sources of behavior issues and respond effectively and compassionately. Even when families have the best intentions, caring for a senior loved one with dementia can be challenging. Fortunately, Home Care Assistance is here to help. We are a leading provider of dementia care. Victoria families can take advantage of our flexible and customizable care plans, and our caregivers always stay up to date on the latest developments in senior care. You can also ask open-ended questions to understand why your parent is acting stubbornly. For example, your loved one may say he or she doesn’t want to eat breakfast because he or she already ate. This approach lets you know the dementia symptoms are affecting your loved one’s behavior. In this type of situation, you can rephrase your request or wait and ask your loved one to eat a few minutes later. Negativity is contagious. While you want your loved one to be social, you also need to make sure he or she spends time around positive people. Seek out caregivers and friends for your loved one who have positive attitudes. Also be cautious about your loved one’s sources of entertainment. For instance, watching an upsetting news story or negative talk show could put your loved one in a worse mood that affects the rest of his or her day. Keep things generally happy around your loved one, and you may find that his or her mood becomes more positive. A trained caregiver with experience in caring for seniors with dementia can be a fantastic resource for family members. Families looking for top-rated Victoria home care service providers can reach out to Home Care Assistance. From respite care to specialized Alzheimer’s, dementia, stroke, and Parkinson’s care, there are many ways we can make life easier for seniors and their loved ones. Simple questions that only require a “yes” or “no” answer can easily elicit a negative response. Instead, give your loved one two choices you already accept as good responses. For instance, you could ask if your loved one wants to take a bath or brush his or her teeth first. These types of questions prompt your loved one to pick only one of these options, so everybody wins. You can also use several strategies to make options more interesting to your loved one. Consider asking if your loved one would rather wear a blue sweater or a red shirt rather than just stating it’s time to get dressed. Adding a smile or a simple pat on the arm can establish a connection that boosts your loved one’s attitude about completing a task. If all else fails, consider adding a small reward at the end of your request. The prospect of enjoying a hand massage after going for a walk may be enticing enough to end stubbornness before it starts. If you have a loved one with dementia who becomes stubborn, these suggestions can help you gain understanding and manage his or her care more effectively. Caring for a senior loved one can be challenging for families who don’t have expertise or professional training in home care, but this challenge doesn’t have to be faced alone. Family caregivers can turn to Victoria Home Care Assistance for the help they need. We provide high-quality live-in and respite care as well as comprehensive Alzheimer’s, dementia, stroke, and Parkinson’s care. Home Care Assistance will work with you to customize a care plan that’s just right for your loved one’s needs. Call us today at (250) 592-4881 to discuss how we can give you the peace of mind that comes from knowing your loved one is being cared for with professionalism and compassion.